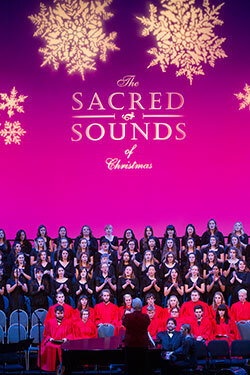 Showcasing performing groups from SPU, including the Concert Choir, Symphonic Wind Ensemble, and the Gospel Choir, the 80 vocalists and instrumentalists celebrated the birth of Christ the Redeemer through sacred Advent music. Presented as a “gift to the Seattle community,” the event is also a popular draw for alumni and their families. In anticipation of next year, check starting in September the SPU website for the date of the 2016 Sacred Sounds and ticket information.